And then there was a car crash, a horrible, debilitating injury, and a hospital. But before Evening Spiker’s could regain consciousness, there was strange boy checking her out of the hospital and rushing her to Spiker Biopharmaceuticals, her mother’s research facility. Once there, Eve has to heal, and cope with an eerie isolation only interrupted by her overbearing mother, a strange group of doctors, and the mysterious boy who brought her there. Just when Eve thinks she will die–not from her injuries, but boredom—her mother gives her a special project: Create the perfect boy. Using an amazingly detailed simulation, that is designed to teach human genetics, Eve starts building a boy from the ground up: eyes, hair, muscles, even a brain, and potential personality traits. Eve is creating Adam. And he will be just perfect… won’t he? I think Eve and Adam is the perfect holiday read, and what perfect timing since the holiday season is fast approaching (right? RIGHT?!). Fast paced, with a light romance and plenty of action, it’s a quick read that I really enjoyed. 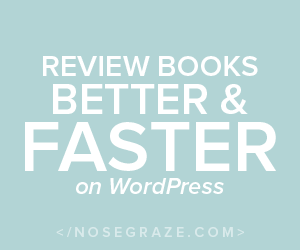 The book is written in short chapters with alternating points of view, lending itself perfectly to a holiday – especially one with constant interruptions in reading time – where you can easily pick up where you left off. The first thing that grabbed me about the book is Eve’s ‘voice’ – she’s sarcastic and funny, and I liked her a lot. She’s a smart girl who makes – mostly – smart decisions. Her best friend, Aislin, is completely different, and yet I liked her too! It’s really nice to read a book where the two friends don’t have a love-hate relationship: they genuinely love and care for one another. In terms of the boys, think Solo was well realised and cool, and I liked sharing his head space, but Adam was given too little air time, so to speak, for me to get to know him. While none of the characters are particularly deep or complex, they are relatable and enjoyable to read about. The book features some interesting world building – it’s set in our very near future (a few years from now?) I say this because Cloud technology has really taken off in this world, and most computers don’t have USB ports anymore! The power Spiker Biopharmaceuticals has on the world is well described and, I feel, realistic, and I really enjoyed the descriptions of the facility, especially the software that allows Eve to create Adam. I have to admit I’m not a big fan of the names used in this book. Evening seems like a really contrived way at arriving at Eve for a nickname for the protagonist, and Solo, really? I don’t know if we ever did find out his real name but Solo is a bit … weird … as a name. 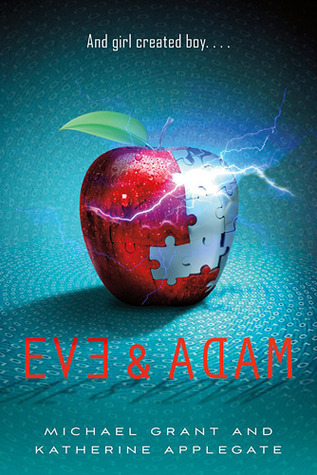 Where Eve and Adam excels is in the plot and pacing – it’s just the right amount of thrilling and exciting, mixed in with romantic scenes and moments of introspection for the characters. I think the blurb led me to make a few assumptions about the story which turned out to be completely wrong in the end. In the synopsis the story sounds interesting, but ultimately shallow, but this is not the case at all. I liked the depths to which the authors take the concept, especially considering how short the book is. This is an incredibly enjoyable read, and I encourage those interested in some light science fiction to give it a try. Like me, I think you’ll be surprised by Eve and Adam! I was hoping you’d already read & reviewed this, I wanted to know what you thought as I am reading it now! I only read the beginning of your review but I agree, so far I like Solo and Eve, but am yet to meet her bff or Adam.